It is with great anticipation that I can announce; Avi is officially off the needles. I’m ashamed to say, I started this adorable pattern, 3 years ago. 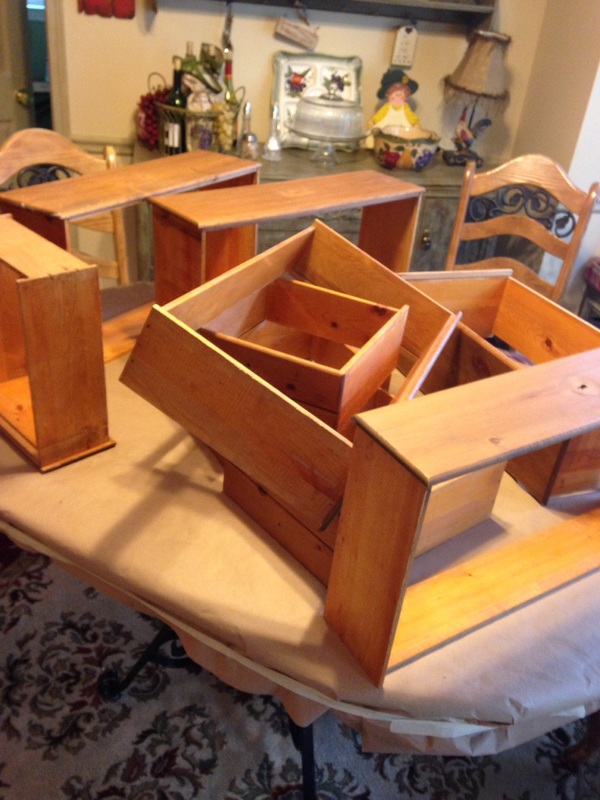 It’s one of those projects that your excited to start and finish …. And then you hit a glitch. All I had left to do is mattress stitch up the the arm seams and …. Are you ready for this, take the 6 stitches under each arm (that I was instructed to put on stitch holders) and Kitchener them together…… That was the glitch. When I put the stitches on holders, I followed the directions and feeling perplexed, I told myself to not get discouraged- keep on knitting- don’t let a little detail no matter how unfamiliar it was, turn this beautiful sweater into a UFO…so, I kept knitting until all the knitting was done. Then it was time to Kitchener under the arms. 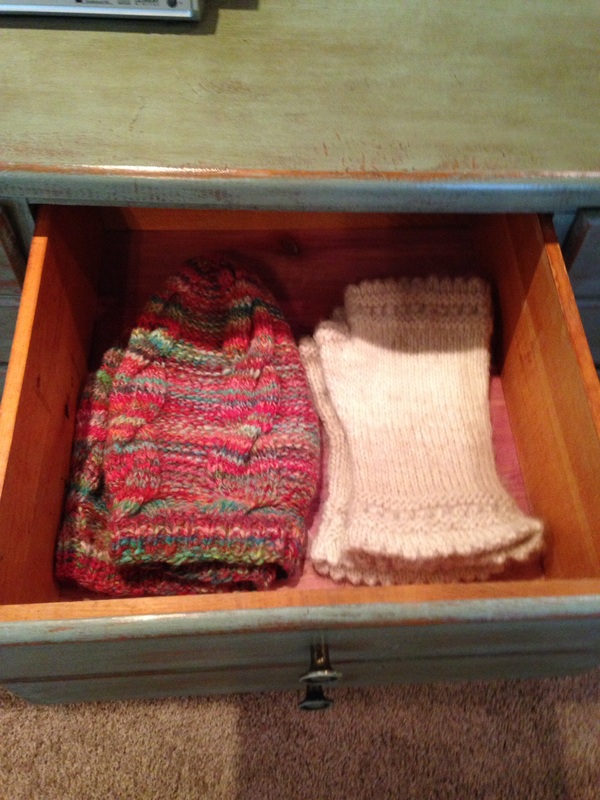 I Kitchener the toes of my socks all the time…. But some how this spot turned into a glitch for almost 3 years. I had never Kitchener stitched armholes before. Avi, became a UFO until last week. With a little Kitchener and sewing side seams she was done. The sweater was originally intended for my granddaughter Reagann. ( I started and stopped this project while she was in mommies tummy) Of course the sweater being to small for her now, Is going to Reaganns cousin Karolina, who is one. She has beautiful brunette hair and the purple will look lovely on her. Things have a way of working out……! I am satisfied with the results and feel a sense of accomplishment putting Avi behind me. Avi can be found on Ravelry.com …..
Be happy and have a happy life crafting! Those angels I call my Grandchildren are always on my heart and mind. I find great joy when I “yarn” something for them. It’s a way of keeping them close to my heart, when they are not with me. I feel that way about everyone I knit for. I’m sure all you knitters and crocheters can relate. My “yarning” technique of choice this time was crochet, one of my first favorite hobbies taught to me, by my Mother. When I saw this cute pattern for this crochet dress I couldn’t wait to start. I knew it was going to be one of those projects that won’t let you put the hook down. I have many UFO’s in my collection, (unfinished object) this was not going to be one. In fact, I said “I’ll make two” and here they are. The pattern kept my attention and they were finished in record time. I can’t wait to see the girls in them….. My hope is to get a picture of Karolina and Reagann together wearing the dresses , with bare feet. 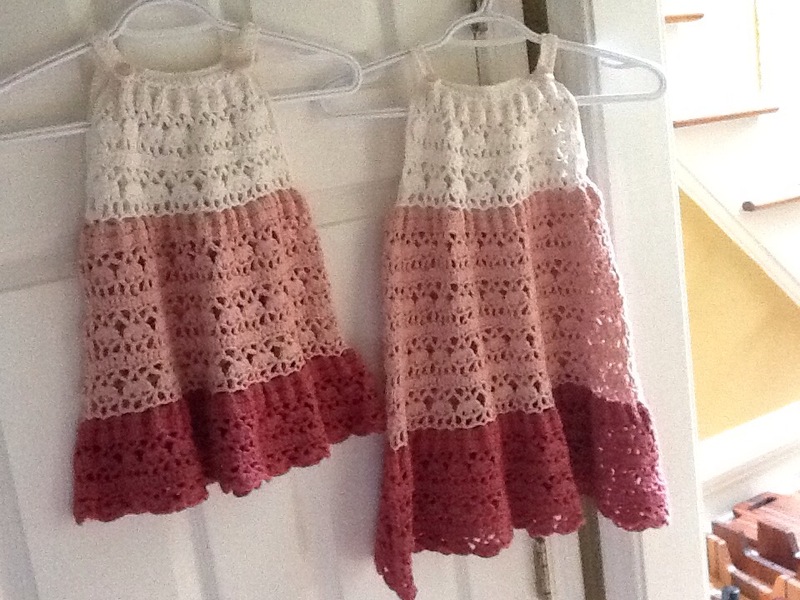 You can find the pattern on ravelry.com; it is called Crochet Tiered Dress. I have more pictures posted on Ravelry and yarn information. You can find me as Boasj on Ravelry. 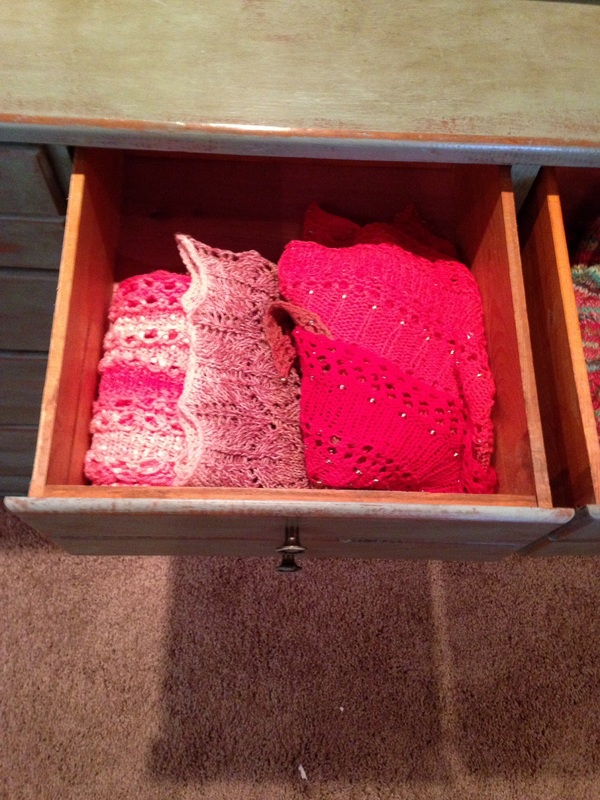 If you have ever wanted to learn to crochet or knit….. I say, take lessons….. Take the plunge…. It’s worth every stitch. Don’t worry about being patient, you will learn patience along the way. 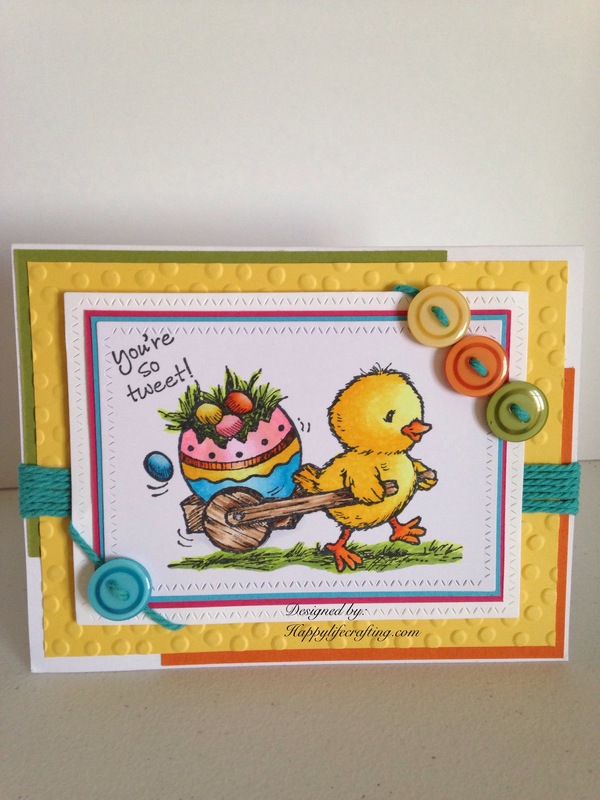 Be happy ….and have a happy life crafting. This is a draft that I needed to add photos to before I published it…. A few are photos that I took along the way, and finally today, I took the final photos. 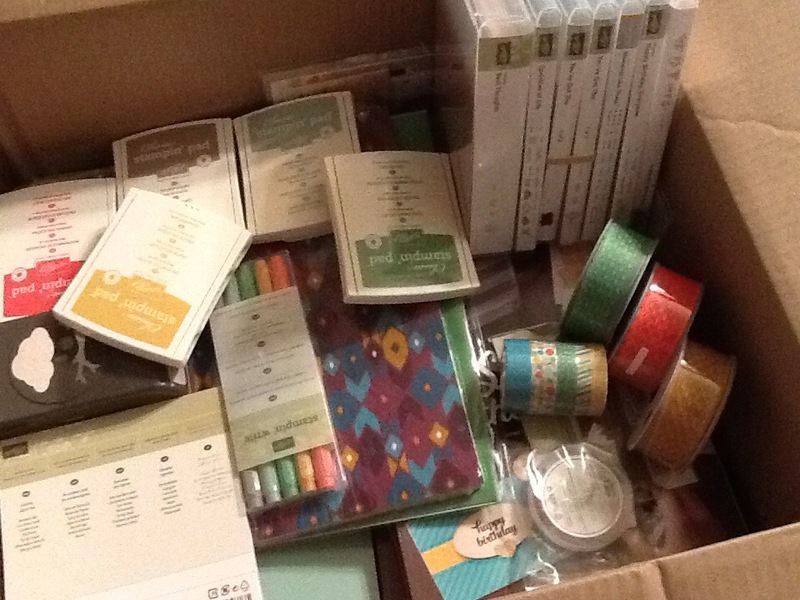 Here they are, only a few months later… Ok, I’m working on my procrastination issues. These are the beautiful yarns I used for this project. All were hand spun, with the exception of 3- the Hank of pink, the mohair, and the one with a label. Today I finished knitting a super fun wrap. Every now and then I find a little piece of “unique and interesting”, that captures my attention in a very obsessed way. While at the Columbus fiber fair I found some beautiful hand spun yarn. The yarn was spun with beads and ribbon, it was irresistible. 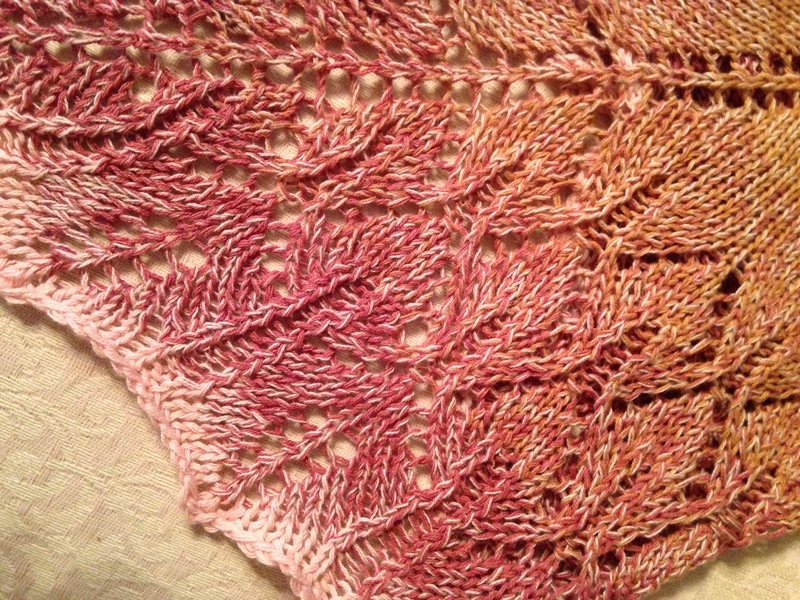 The yarn was perfect for a pattern she had, to make the free form yarn shawl. 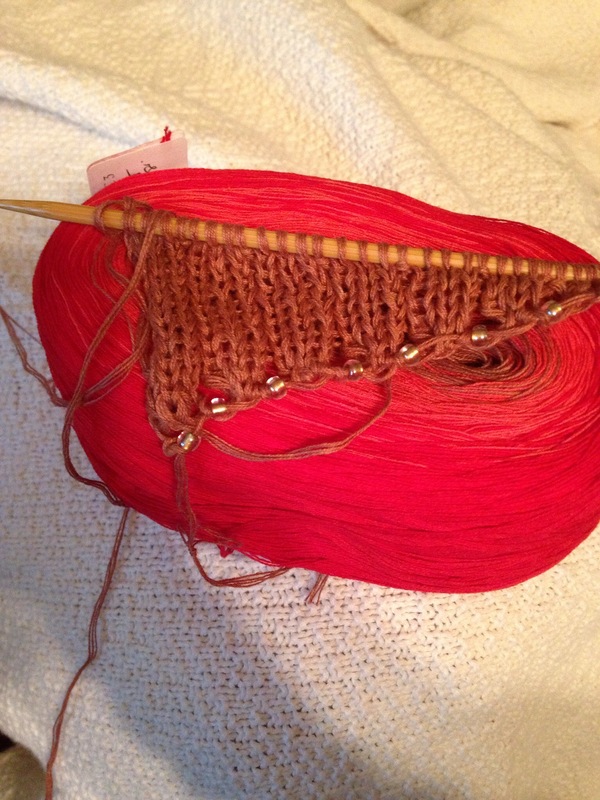 I selected several yarns from her shop to start knitting this little gem of a piece. You start with a rectangle and then you bind off and pick up stitches as you go using the different yarns and going different directions. It was refreshing to knit something that you basically make up as you knit along. I did not bind off every time I switched yarn. Sometimes I just changed colors or texture and kept right on going. I pulled all of the long end pieces to the front and added beads. 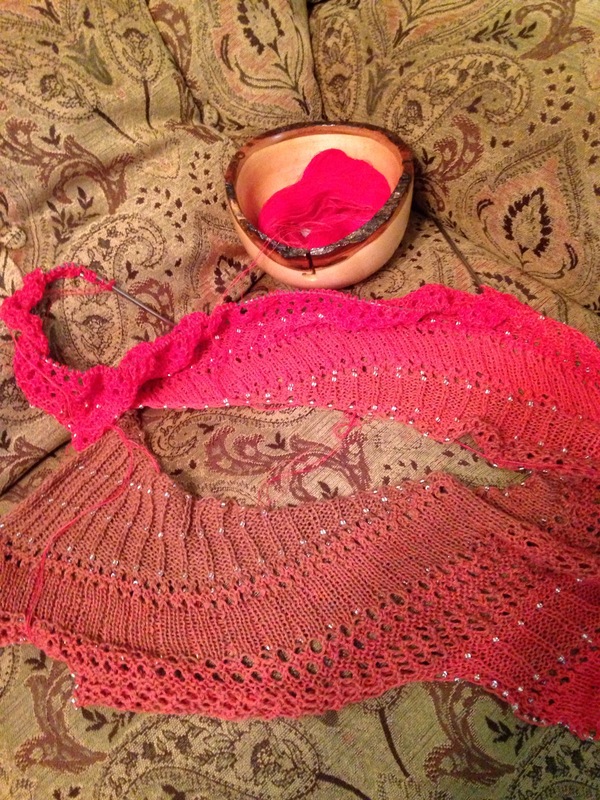 Some of the yarn already had beads so this was an extra embellishment idea that added more bling to the shawl. This photo is the early stages of the knitting. I didn’t have to go far to find the yarn, because Kathy was the vendor right next to us. Wow …the beautiful stuff she spins. You can find her on etsy : unique designs by Kathy is the name of her shop. 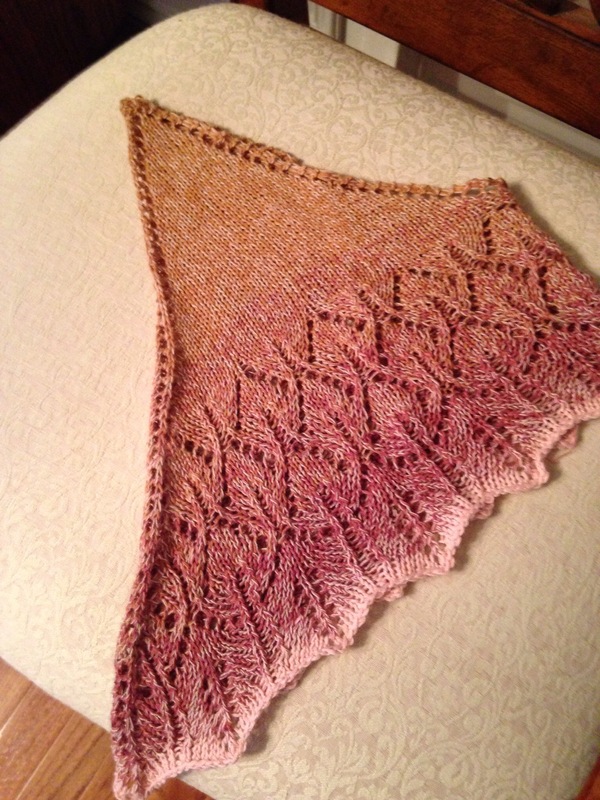 Here is the completed shawl. This truly was a project that I could not put down once I started. Try new things…. it’s good for the creative gene. Be happy and have a happy life crafting. 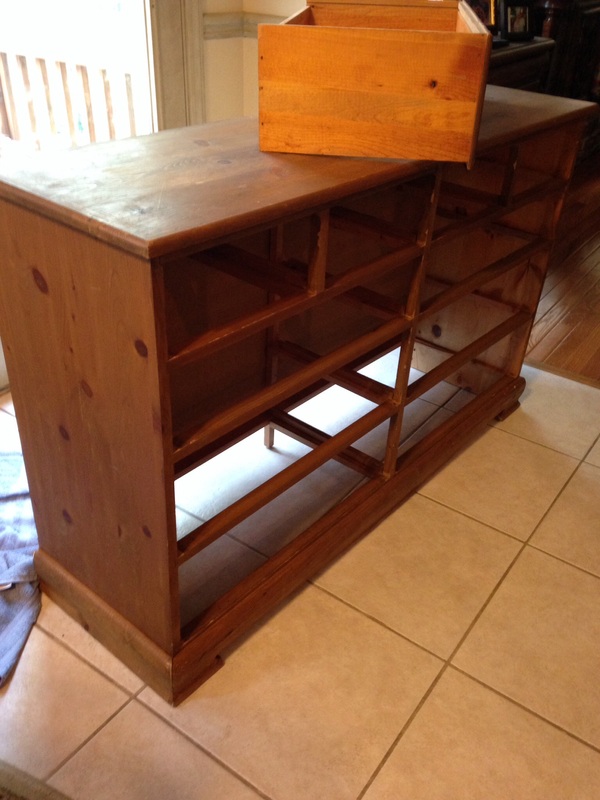 After shopping at several thrift stores and antique places, looking for a dresser I could revamp, to hold all my hand knitted items, I found this dresser at goodwill for $39.95. It sat in the garage for several months waiting for its transformation. Not sure of the technique I wanted to use, I learned that chalk paint was a popular method. Anna and Joseph chalk painted Karolinas crib,which turned out beautiful. 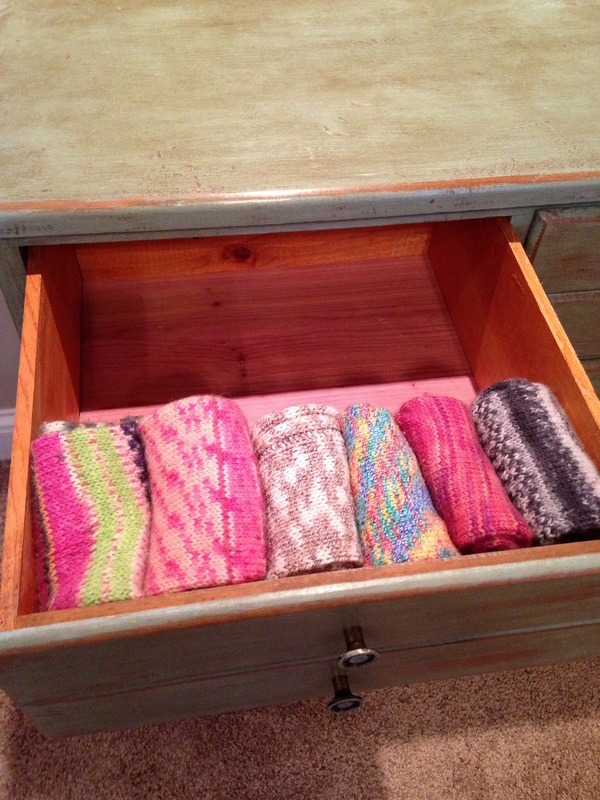 A friend from knitting was sharing pictures of a few pieces that she transformed that also turned out great. 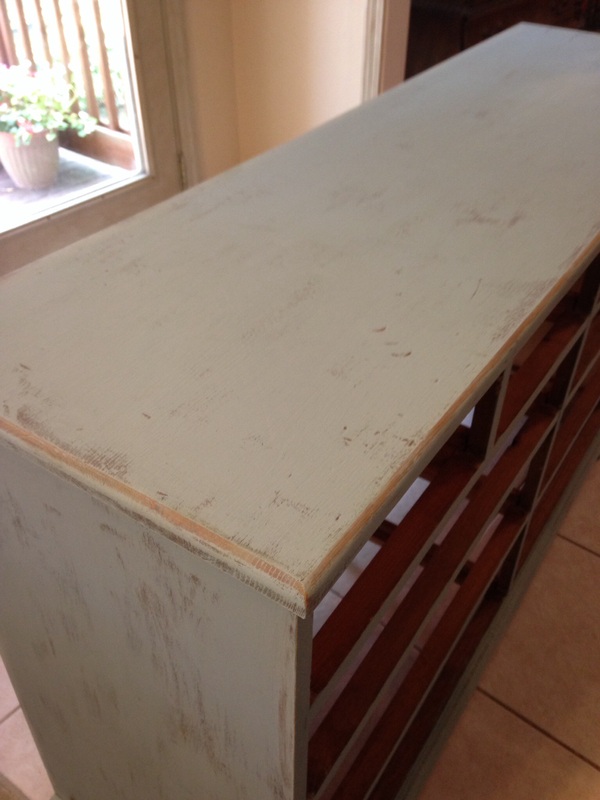 I was definitely inspired to look further into the chalk paint method of restoration. I decided to visit the local Annie Sloan, chalk paint store and it was ” WOW”. My inspiration turned into “must do it now”. 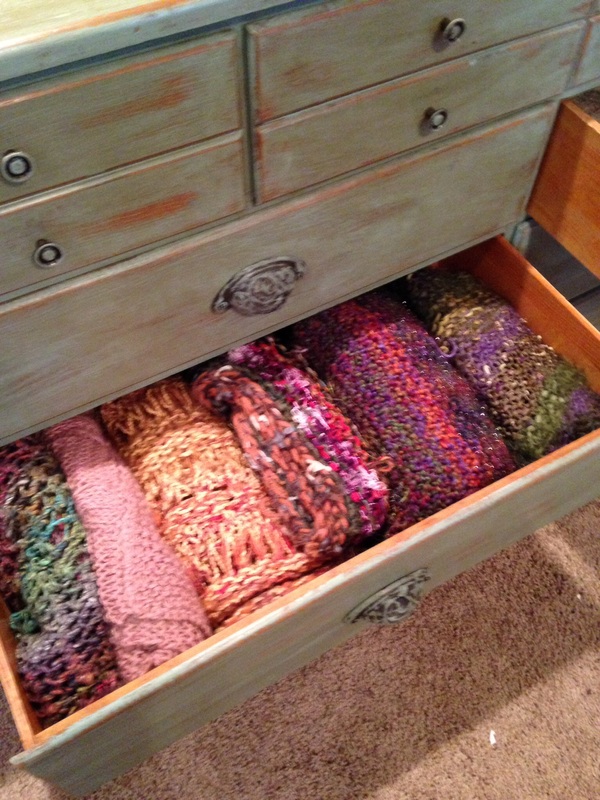 I was 100% motivated to get that dresser ready to house all of my knitted cowls, socks, and scarves. 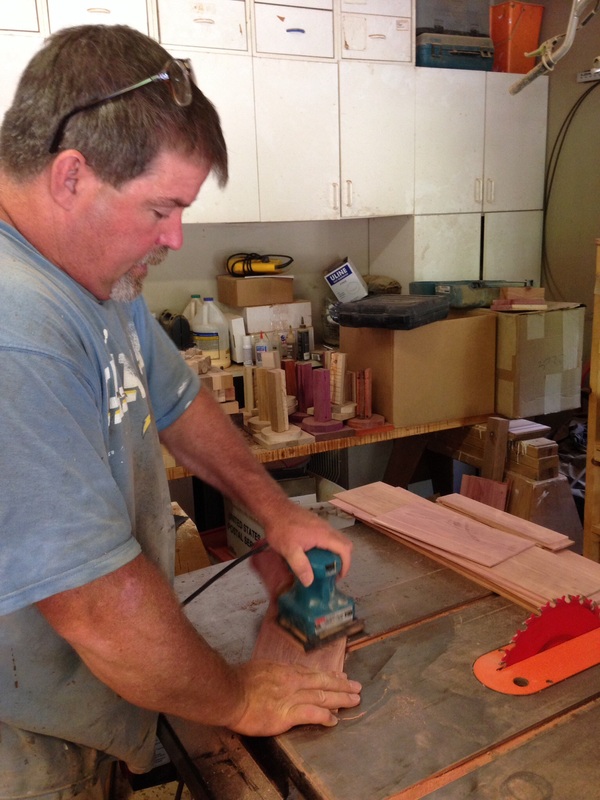 Steves part of the plan was to replace the bottoms of each drawer with red cedar. He was also thrilled to know that the dresser would finally be leaving the garage. With both of us ready and willing, the task began. 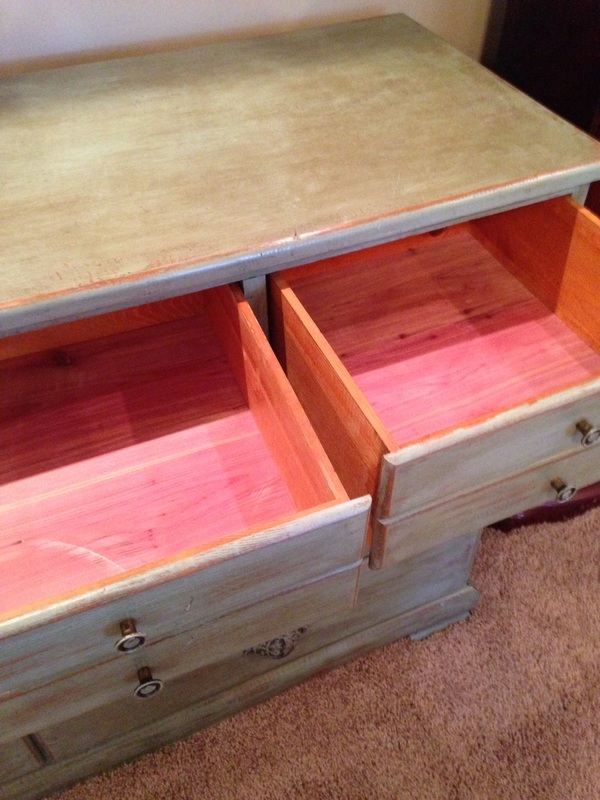 He graciously replaced the bottoms of the drawers with cedar, and I started the painting and waxing. Before long the dresser was finished. Crafting of any kind is fun and rewarding. The dresser turned out shabby chic. 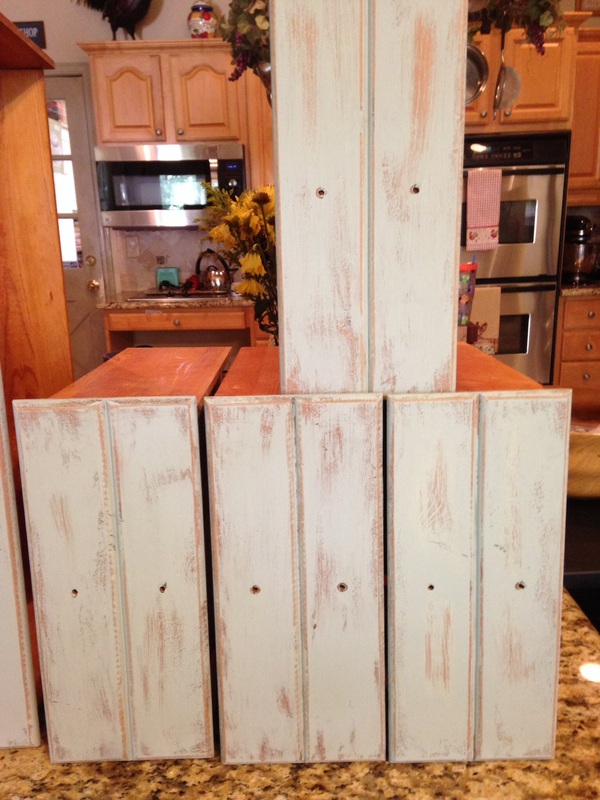 I highly recommend using chalk paint on your next project. 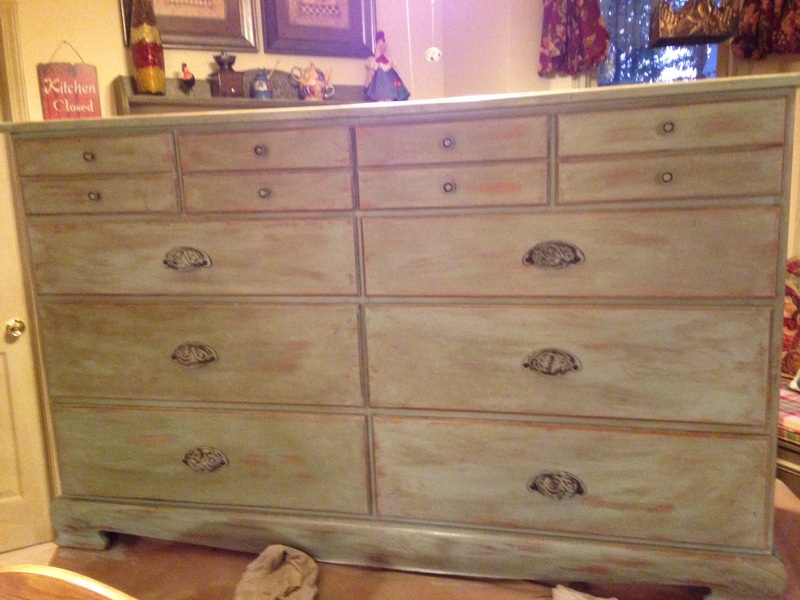 Here is a quick, sneak peek of how I painted the dresser. I really like how it turned out….. And am grateful for the help of my hunky, who took the project over the top by adding the cedar bottoms. 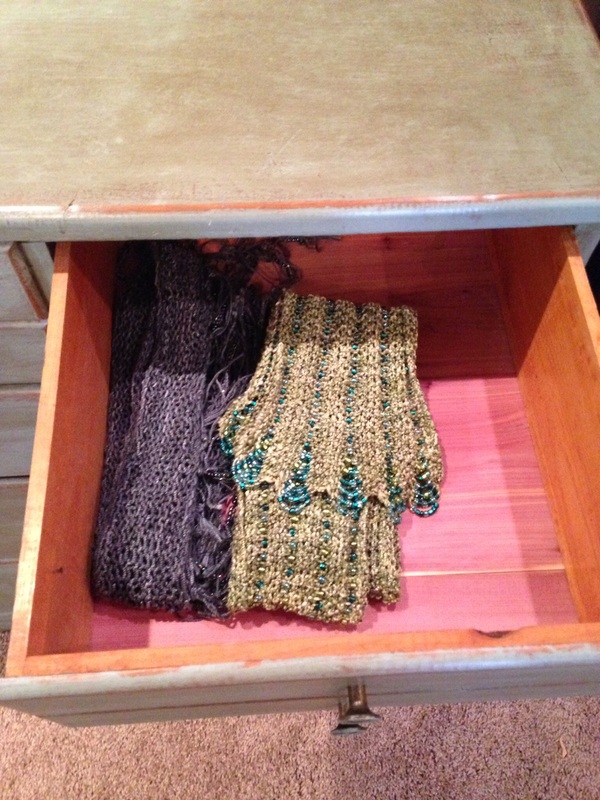 Now I have all my knitted clothing in one spot and the cedar will keep the moths off the wool. I’m adding a few lavender sachets, which also keep wool eating bugs away. Be happy …. And have a happy life crafting. On and off the needles. I finished knitting the zu zu petal scarf. It is amazing…. It sort of reminds me of a dickey. Do you remember those? My Grandma, Beth Tebbetts gave me one as a gift. She did a lot of traveling when she was still with us and always brought my sisters and I interesting, practical gifts. I actually learned about many things from her. I admired her for being a smart, strong, and independent women. Back on the the zu zu petal scarf. I knitted it with 4 ply, wolles yarn creations, cotton. It is a very easy pattern and a quick knit. I am looking forward to wearing it once the weather cools down a bit. 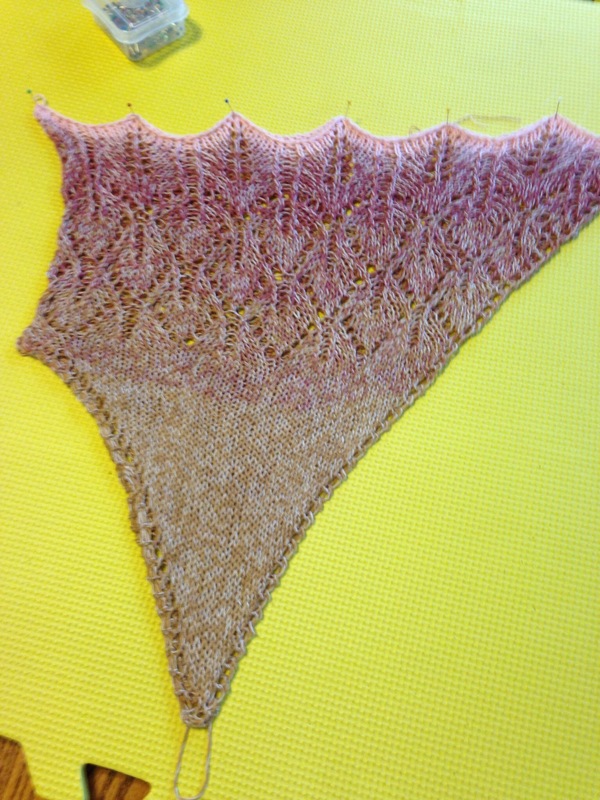 During the blocking stage, I only needed to pin the scalloped edge. It laid nice and flat without pinning the other sides. I’m happy to share this. If you are a knitter, I highly recommend this pattern. It can be found here. The cotton can be found here. 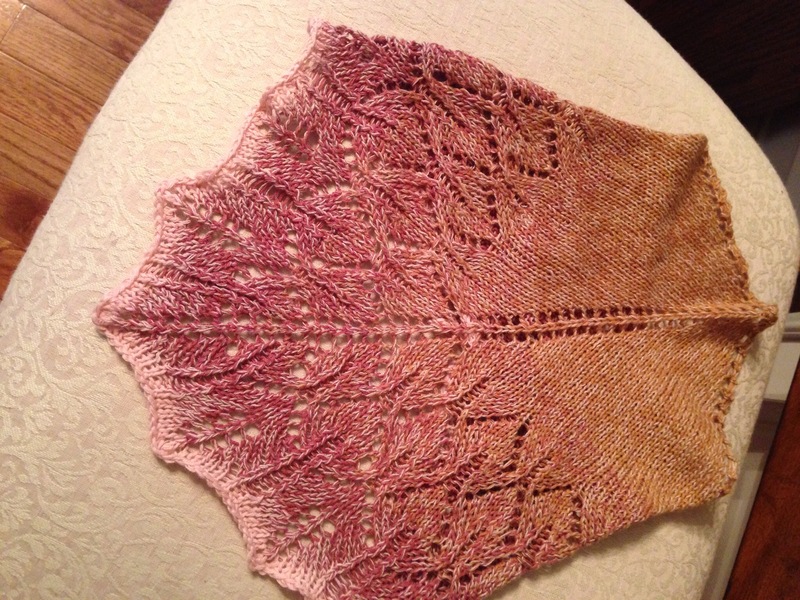 With Zu Zu’s off the needles, I can concentrate on what’s still on the needles. Almost done. This has been a whirlwind week and it’s coming to a screeching halt. Company on Monday, card class on Tuesday, knitting on Wednesday, re- grouped on Thursday….. Friday, was celebrate international doughnut day with my number 3 grandson, Gavin. We had a very special day together that started at Dunkin Donuts. ( no photos) He then helped me pick out summer beach, vacation, toys at wallmart, for our upcoming Florida trip. He is a delightful child and extremely helpful. He told me, that man, who drives the big brown truck, brought him his new flip flops….. And wanted to know what will happen when the postman runs out of mail to deliver? When I forgot my phone at home, he panicked and urged me to go back for it. Of course, I explained to him that there was a time when we didn’t have portable phones, and everything was going to be ok. Well……no phone = no pictures. “see, Grandma you should have gone back to get it”. Oh, the conversations we have..
Once I sat down for the evening to relax, I couldn’t put the knitting needles down. I finished the cowl I was working on. I’ll share pictures and pattern info, after I block it. 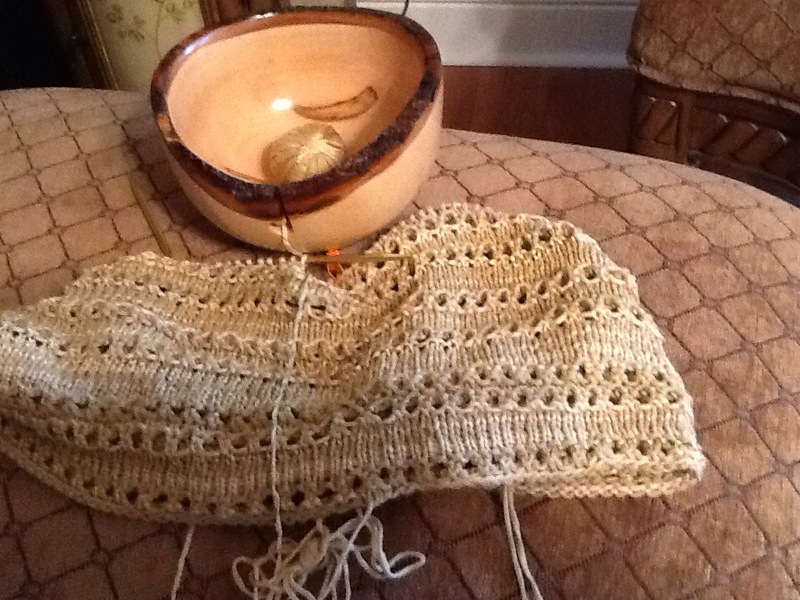 I’m stuck on knitting……Does anyone else out there, get stuck on different crafts? I was on a paper binge, now I’m on a knitting binge. I typically try to balance my time, between all the things I love to do. However, every now and then something distracts me. 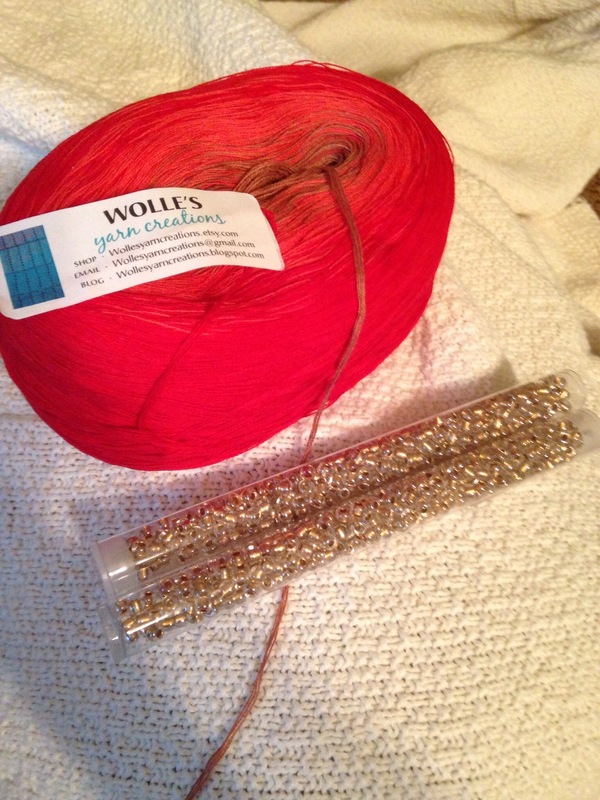 With Stampin up it was the new catalog launch….now its this yarn I bought while in Kentucky, from Wolles cotton creations, I think I’m obsessed. 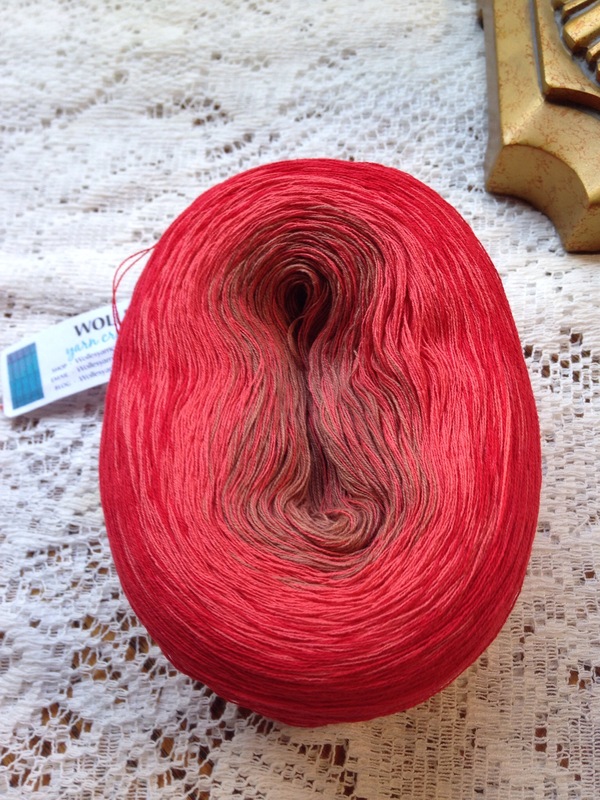 It’s 4 ply cotton with a beautiful color way, called rose hips 2. I found a pattern that will work perfect with the yarn. 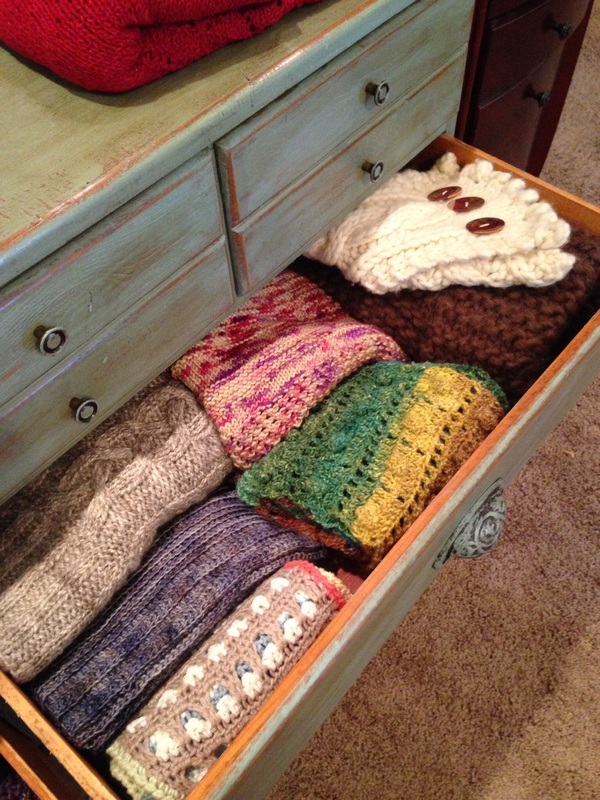 The pattern is Reverse Psychology and can be purchased on Ravelry for $5.00. This pattern can be knit with beads or without. I have chosen the bead option. Here are a few pictures of the yarn, beads and the little piece I’ve started. Doesn’t this yarn look irresistible? The pattern is very simple. I’ve only knitted a few rows, but the pattern is well written and easy to understand so far. Enjoy whatever gear you get stuck in…..